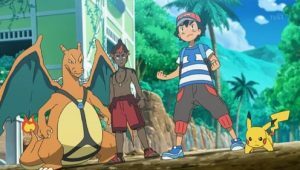 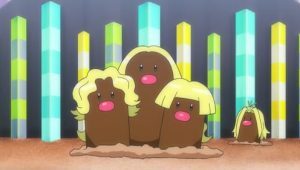 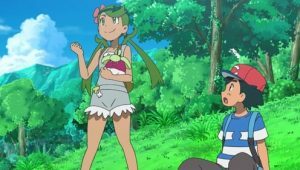 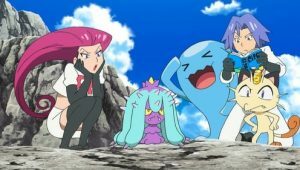 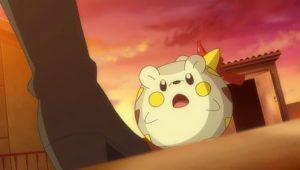 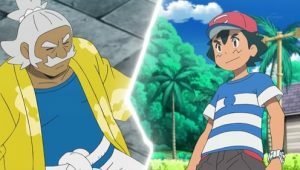 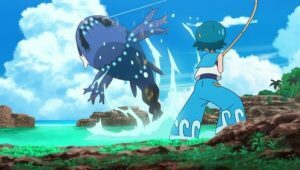 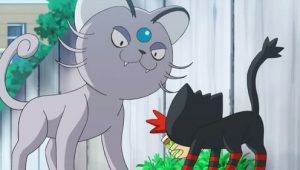 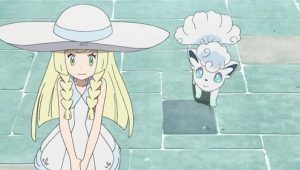 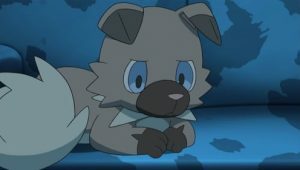 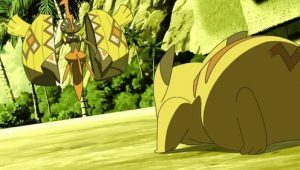 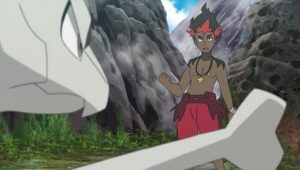 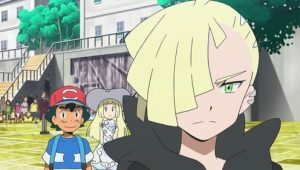 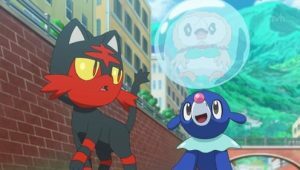 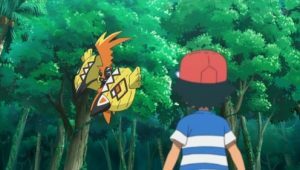 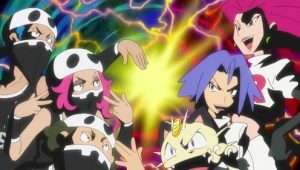 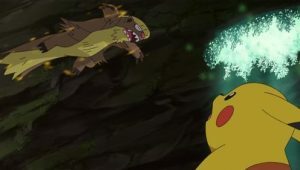 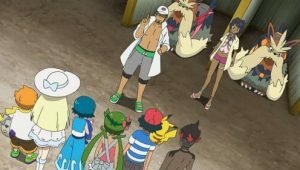 While training Litten, who is having trouble mastering Fire Fang, Ash accidentally incurs the wrath of an unfriendly Sandygast when Rockruff’s Rock Throw knocks the shovel off its head. 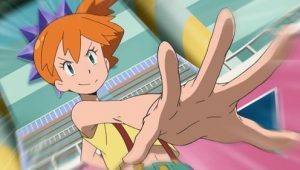 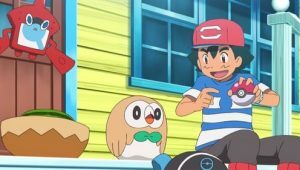 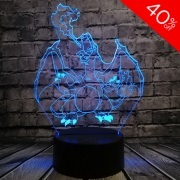 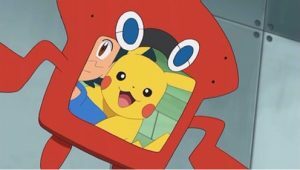 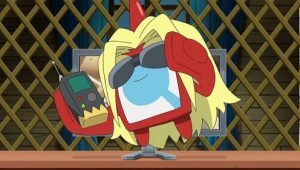 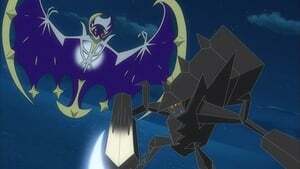 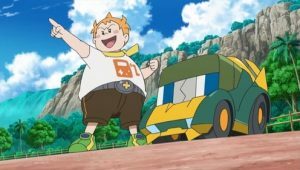 Ash’s attempt to temporarily replace it with Rotom-Dex only makes things worse. 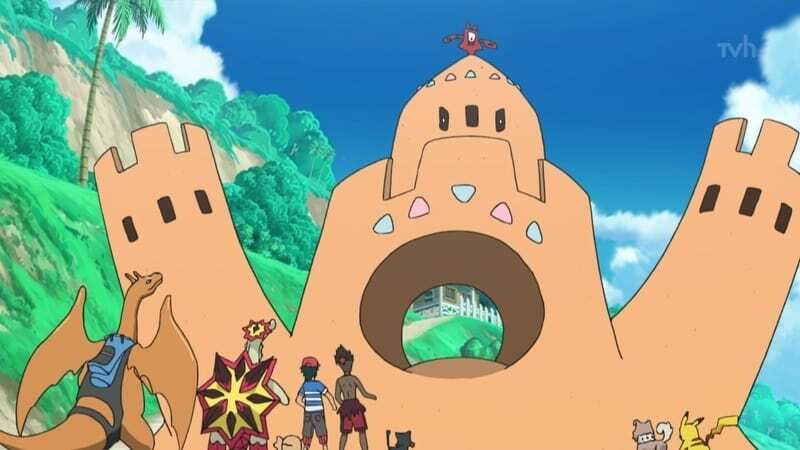 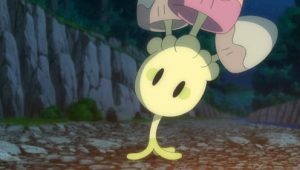 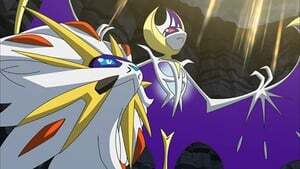 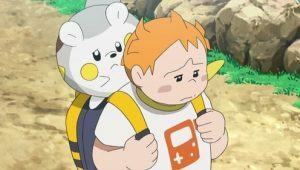 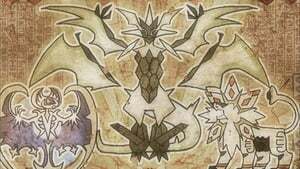 In a rage, Sandygast evolves into Palossand and swallows up Ash and also Litten when it tries to rescue him. 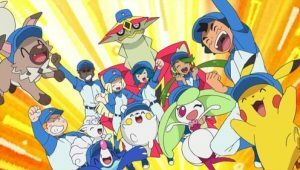 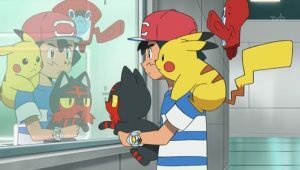 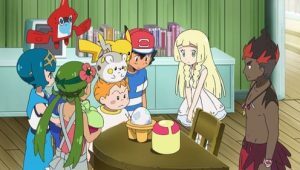 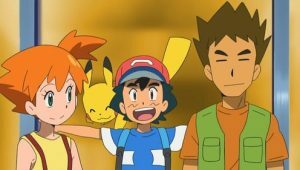 With both Litten and Rotom-Dex affected by Palossand’s energy drain, it is now up to the rest of Ash’s classmates to save them. 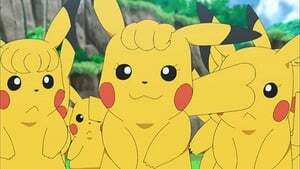 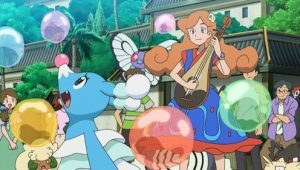 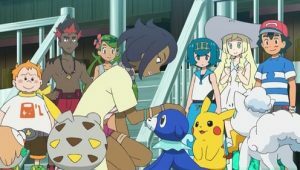 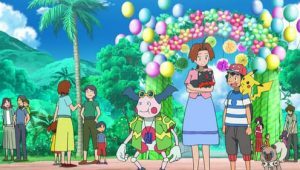 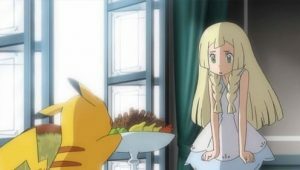 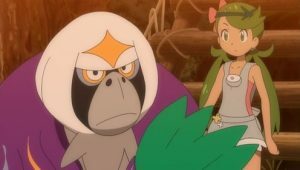 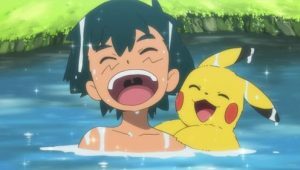 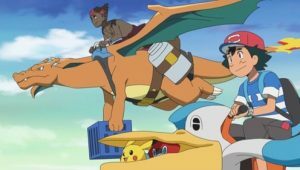 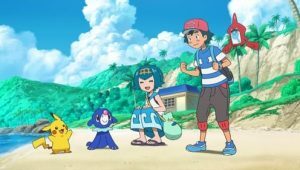 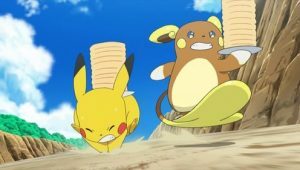 While Kiawe and the others keep Palossand busy, can Pikachu and Popplio find the lost shovel in time?